Evelyn has more than fifteen years’ experience in media and public relations, corporate affairs, and politics. Evelyn has been a senior adviser in the Federal and Victorian State Governments. She was previously Senior Policy and Media Adviser to the Independent Senator for South Australia, Nick Xenophon; Press Secretary to the Federal Minister for Finance and Deregulation, Senator Penny Wong; and Press Secretary to the Victorian Minister for Health and Minister for Ambulance Services, Jill Hennessy. 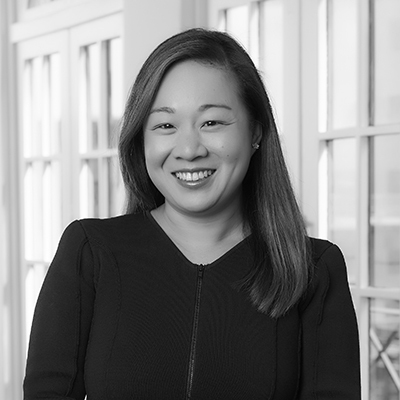 Most recently, Evelyn managed media and communications at one of Australia’s major banks, looking after consumer banking, wealth, and corporate and institutional banking matters. She was also previously Media Manager for one of Australia’s largest private health insurers. Evelyn began her career as a TV news and current affairs Producer, before moving into public relations. She has managed media campaigns for a range of clients, including Telstra, AXA, and the Melbourne Writers Festival. Evelyn specialises in strategic communications and issues management. She is highly skilled at understanding complex industries and issues, and works with a range of organisations to effectively build and maintain reputation.